This is not the actual picture of the Value Up concept. 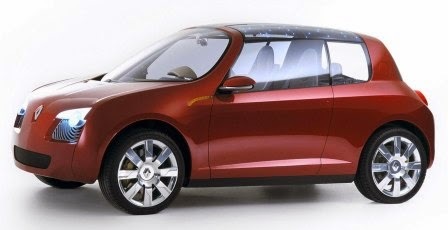 French auto maker Renault is developing a small car/hatchback concept called ‘Value Up’. The ‘Value Up’ concept will be lightweight, efficient and will keep the costs lower for the company. It is being worked upon purely for research purpose to help develop future models. The ‘Value Up’ concept is built on a new 3.8 m length platform and is likely to underpin some of the future cars from Renault. The concept fits between Renault Twingo and Clio models. The concept makes use abundant of bamboo in the cabin to lower the weight. It weighs 830 Kg and is supposed to be powered by a 1.0 three cylinder petrol engine.